It is always a challenge (and a mess!) to teach a toddler how to transition from a sippy cup to a regular drinking cup. My daughter is in the INDEPENDENT stage and wants to do everything her big brother and parents are doing...including drinking from a regular cup. It has resulted in spills and messes that have soaked my daughter, my floors and the tabletop and food! So when I saw the Philips AVENT Natural Drinking Cup, I really wanted to try it out and see if it was the solution to my daughter's drinking cup transition issues! The Philips AVENT Natural Drinking Cup meets the drinking needs of growing babies and toddlers! Philips AVENT Natural Drinking Cup’s lip-activated technology teaches babies to drink like mom and dad without spilling! Lip activated valve encourages grown up drinking. The unique valve is a brand new innovation, specially designed by experts at Philips AVENT. The valve is lip activated for your toddler to master free flow drinking. Trainer handles help your toddler to hold the cup and drink independently. My daughter can easily hold the cup and it doesn't slip out of messy, wet hands! 360-Degree Drinking for Easy Transition. The Natural Drinking Cup is a great first grown up drinking cup for toddlers ready to move on from traditional sippy cups or from drinking from a straw. The cup allows drinking from all around the rim, just like an adult cup. This design encourages your toddler to get used to grown up drinking. 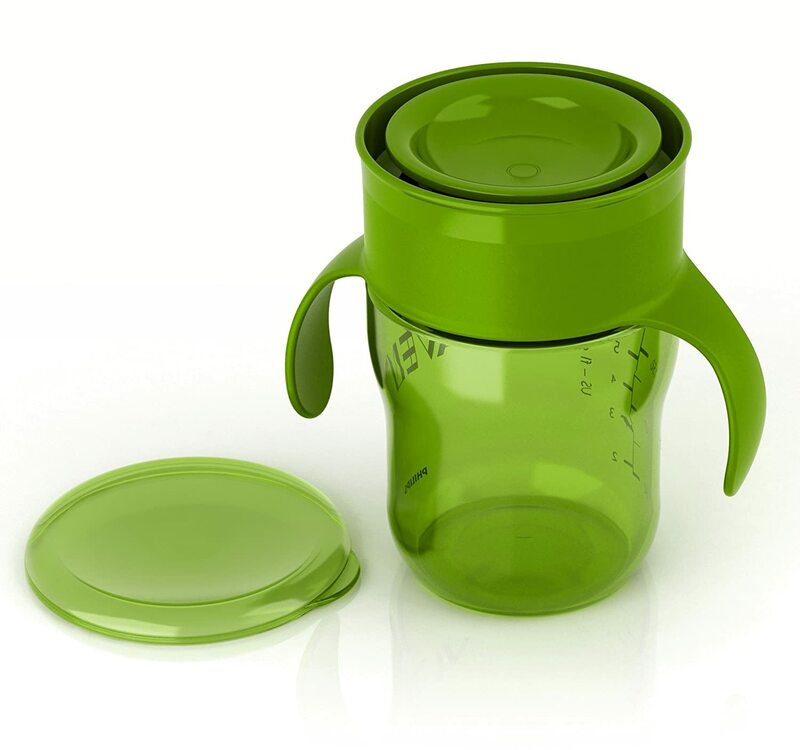 This cup features a spill-proof valve that prevents waste and mess. This fast-flow valve is activated when a child's top lip presses against the lid, so milk or water only flows when your toddler is ready to drink. When the cup isn't in use, you won't have to worry about spills and messes. So don't dread that messy transition from sippy/straw cup to drinking cup every again...get the Philips AVENT Natural Drinking Cup for an easy, spill proof and easy to hold transition! Win It: Philips AVENT is generously offering (1) Philips AVENT Natural Drinking Cup to a lucky winner!